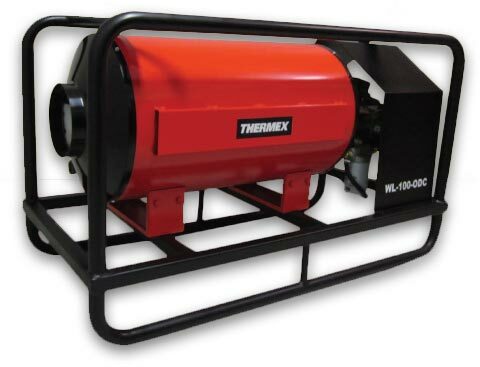 The WaterLine Heater™ frame is made from 1.5″ steel square tubing. The skid frame allows the unit to be dragged around drilling sites for an easier mode of transport. The unit comes with a protective hood over the diesel burner to cover it from any immediate precipitation. There are four lifting braces for picking up the unit using straps or chains with a crane or helicopter for transporting over difficult terrain. The Waterline Heater™ comes with two different power options. 120 VAC and 12 VDC. The performance of the unit remains the same regardless of the input power. 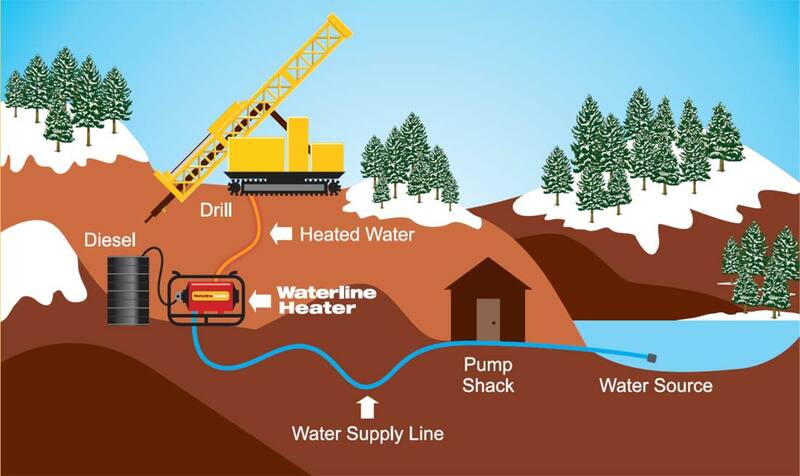 Waterline Heater™ is designed using components with the best reliability under the coldest temperatures. 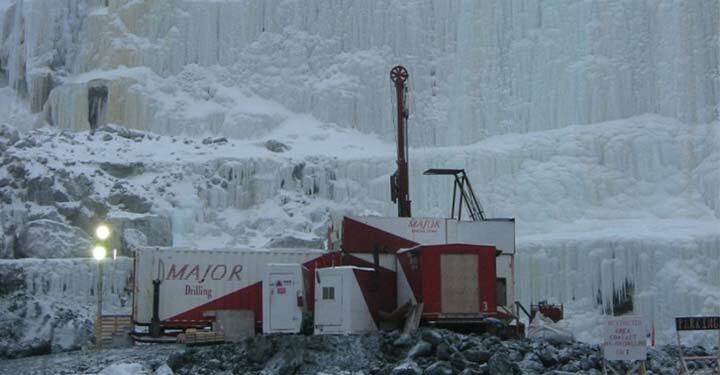 These machines have proven themselves time and time again in various drilling applications all over the world in some of the harshest winter conditions.